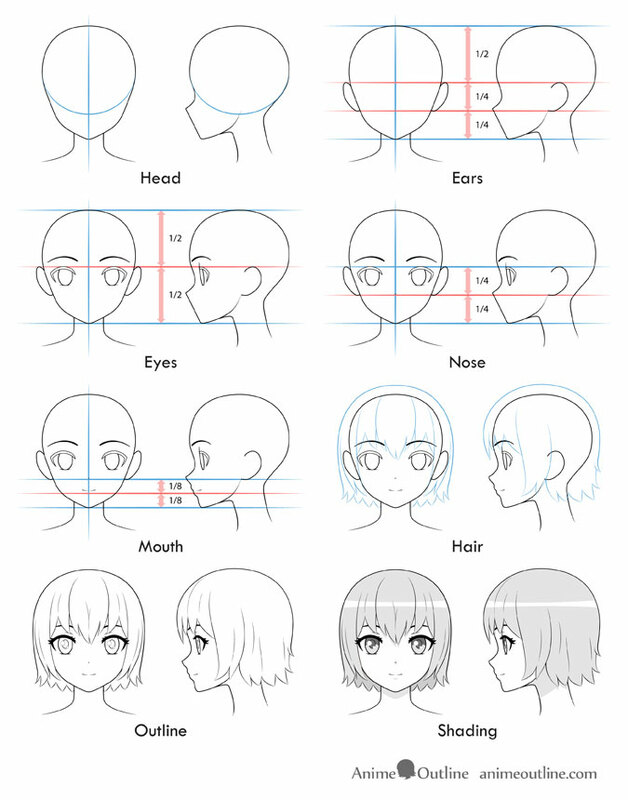 This tutorial explains how to draw a an anime or manga girl’s head head and face from the front and side views. 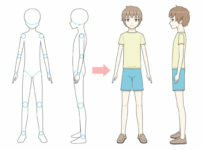 Before you begin drawing it’s a good idea to outline the defining features of the anime style. 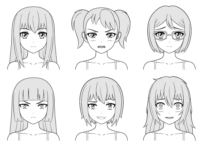 Most female anime characters tend to have big eyes, a small mouth, nose and chin and a fairly round face. 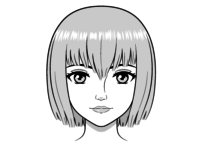 The lips are usually either very lightly defined or not drawn at all. 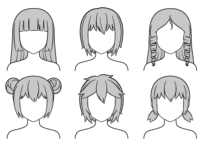 The hair is usually drawn in clumps instead of individual strands and often tends to have a somewhat spiky look. If drawing using pencil and paper be sure to make very light lines for the initial parts of the tutorial as you will need to erase some parts later. 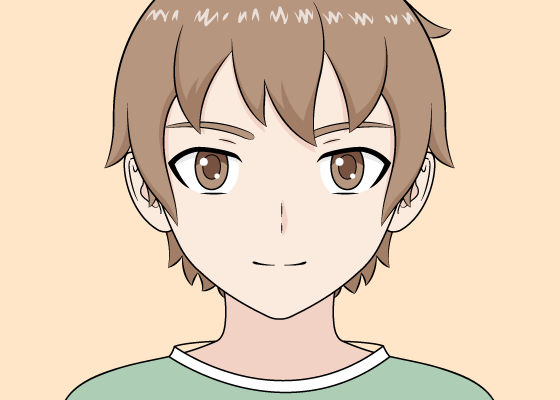 You can draw a vertical line down the middle of the head for the front view to help you insure that both sides are even. 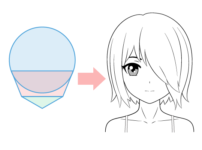 Make a circle or a light oval for the front view and a longer oval for the side view to help you get the shape of the top of the head. 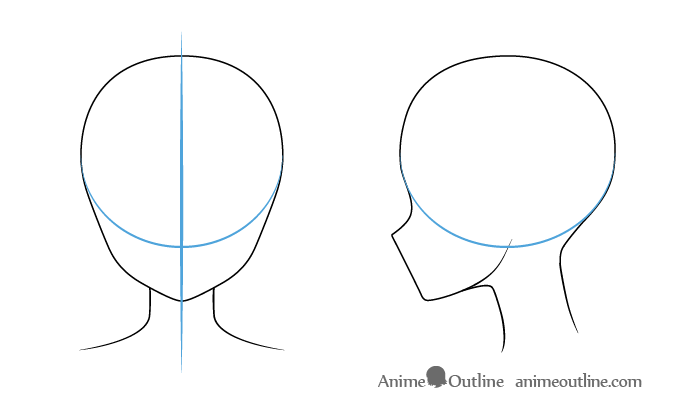 For the front view you can basically project two sets of lines down from the oval/circle that curve to meet at the chin. 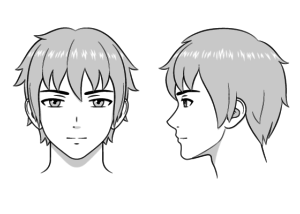 For the side view there will be a sort of indent for the nose/eyes area. Draw the nose about halfway between the bottom of the chin (covered in more detail in Steps 3) and the middle of the head. You can draw a straight line going from the tip of the nose down to the chin (details of the mouth will be added in Step 5). Again for the side view you can draw a line going upwards from the chin and then curving again towards what will later be the position of the ears to form the lower jaw. For both views draw the chin small and almost pointy but with a tiny curve at the bottom.